Country and pop legend Dolly Parton presents 9 to 5 the Musical, a huge-hearted comedy musical featuring an original score by the great woman herself. 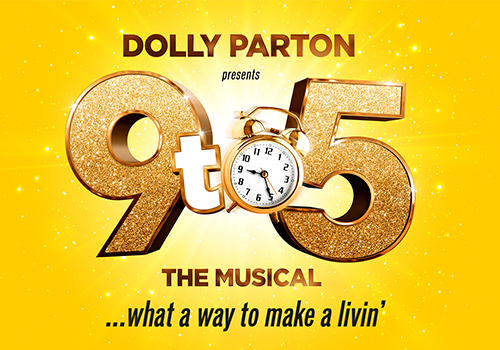 Directed by Jeff Calhoun and starring Louise Redknapp, Amber Davies, Natalie McQueen, Bonnie Langford, and Brian Conley, it promises a barn-stomping limited season of country hits, female friendships and the highs and lows of the old "9 to 5" slog. The Savoy Theatre box office is located within the theatre building and is open from 10am – 8pm Monday to Saturday. Pre-purchased tickets can be collected from the theatre’s box office from an hour before the performance is due to start. Customers will need to bring the card they used to make the purchase as well as their booking reference. Situated on the famous Strand, the Savoy Theatre was originally built by Richard D’Oyly Carte and designed by prolific theatre architect CJ Phipps, first opening in 1881. Renowned for hosting comic operas, early productions included Gilbert and Sullivan’s Patience (1881), Iolanthe (1882), The Mikado (1885), The Gondoliers (1889) and The Grand Duke (1896). After the war, the theatre became synonymous with hosting premieres including Paddy the Next Best Thing (1920), Treasure Island (1922), Oscar Wilde’s Salome (1931) and Noel Coward’s Blithe Spirit (1941), as well as several Shakespeare productions. Following renovations after a fire in 1990, the theatre hosted a number of plays and musicals, including Noel Coward’s Relative Values (1993), Tom Stoppard’s Travesties (1993), starring Anthony Sher, She Loves Me (1994), starring Ruthie Henshall and Communicating Doors (1996). Notable later productions including JB Priestley’s When We Are Married (1996), starring Dawn French and Alison Steadman, Hay Fever (1999), H.M.S. Pinafore (2000), Return to the Forbidden Planet (2002) and a revival of H.M.S. Pinafore (2003). Blithe Spirit was revived at the venue in 2004-2005. More recent productions at the Savoy Theatre have included The Rat Pack: Live from Las Vegas (2006), Porgy and Bess (2006), directed by Trevor Nunn, Fiddler on the Roof (2007-2008), Carousel (2008-2009), Legally Blonde (2010-2012), The Sunshine Boys (2012), starring Danny DeVito and Richard Griffiths, and Soul Sister (2012). Beatles’ musical Let It Be (2013-2014) followed, along with Cabaret (2013), starring Will Young and Dirty Rotten Scoundrels (2014-2015), starring Robert Lindsay. 2015 saw Imelda Staunton take to the stage as Mama Rose in musical Gypsy, earning an Olivier Award on the way. Guys and Dolls (2016) followed, with Sheridan Smith starring in the Menier Chocolate Factory transfer of Funny Girl (2016) after. In November 2016, Amber Riley made her West End debut in musical Dreamgirls, earning the actress an Olivier Award. Dreamgirls continued into 2018, starring Marisha Wallace, Karen Mav and Moya Angela. In 2019, the iconic venue will be the home of a limited run of Dolly Parton's 9 to 5 the Musical, which will be the first time the show has been performed in the West End. The show stars theatre legends Bonnie Langford and Brian Conley as well as actress Natlie McQueen and Love Island 2017 winner Amber Davies.